Today, we are delighted to share our second post for this year’s flash fiction february. Please enjoy this piece by Debbie Weingarten. brat·tice (brăt′ĭs) n. 1. A partition, typically of wood or cloth, erected in a mine for ventilation. 2. A breastwork erected during a siege. Sue Ann wakes sweating and tangled in the bed sheets. For a long while, she groggily observes her own bedroom as though it were a photography exhibit: a plastic cup of water on the night table, a door standing open to the bathroom, a red toothbrush perched near the sink. Her own reflection—doughy and wrinkled—is stretched to fit in the brass post of the headboard. From the top of Frank’s dresser comes an incessant ticking. “Oh stop it, you,” Sue Ann clucks reproachfully in the direction of the dresser, and takes another pill. For weeks after Frank’s death, Sue Ann existed in a kind of catatonic state—unable to taste her food, to dress herself, or to bathe. Her concerned children came to visit, then a doctor from the city, and then little colorful pills began showing up beside glasses of water. They made her feel funny, but she was too tired to argue. 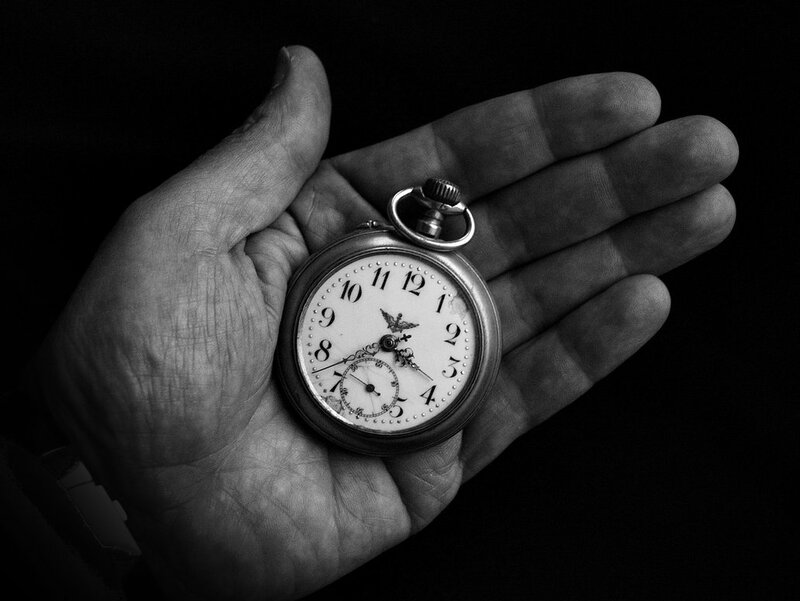 She had almost been rid of the watch, she remembers. Before the funeral—which everyone said had been lovely—she had wound and polished it, and slid it onto her husband’s wrist. After all, he hadn’t been without it in fifty years, and it seemed obvious that he should be buried with it. But then she had noticed how still his hands were, how cold they were. And she had panicked, placing the watch in her dress pocket instead. Now she wishes it had been buried underground, a muffled ticking to accompany Frank’s postmortem process. When it needed to be wound again, there would be no dutiful wife to carry out the obligation, and it would finally be silenced. It is the hundredth night since Frank died, and Sue Ann has to sleep with the light on. Darkness seems to extend the magnitude of her grief, and the light, fluorescent as it is, makes Sue Ann feel strangely as though the sadness belongs to somebody else. Her legs are restless at night, and Sue Ann thinks briefly about going for a run. She laughs at the thought: herself, an old lady, skin that tears like tissue paper, running through the woods in the middle of an August night. Ridiculous. She flexes her toes and thinks of Frank. Her husband had spent his entire life underground, developing late-century improvements to the coal mine’s brattice ventilation systems, until the mine had suddenly closed its doors in the early nineties. The community was left devastated and depressed, and overnight, the strongest of men became jobless and lost. Day after day, Frank sat on the porch as though it were his very own tomb. More than a decade later, a cement staircase was poured, and busloads of school children clambered underground to view a century’s worth of pick axes and coal cars. At first, the town had been largely offended by the museum, but it brought in tourists, who brought money, and so it was eventually embraced. It had been a Tuesday, and Sue Ann had encouraged the visit as a kind of “closure”. It was the first time Frank had stepped into the mine in fifteen years, and his heart had seized as soon as he made it down the stairs. The irony still consumes Sue Ann. She repositions her pillow and lays down again, waiting for the familiar chemical pull of the medication. In the dreams, she and Frank are always standing in the mine. Sometimes they have brought a picnic. Once, Frank teaches her to juggle with three red apples. For an entire week’s worth of dreams, they stretch out against the rocks and make love they way they did at the quarry when they were twenty. Sometimes they take to their old fights. Once, the mineshaft fills suddenly with bats, and Sue Ann wakes up screaming. Tonight, Sue Ann has brought the watch. The gold band catches the light from the lantern, throwing a strange pattern on the rock wall. It reminds her of being on the river with her father, of the way moonlight catches the white bellies of dead fish. “You don’t want it?” Sue Ann asks. Frank has always been practical. And strong, even in his old age. The semi-darkness of the mine suits him—he wears it like a familiar coat. He does not fumble over the rocks or fear the darkness, the way that Sue Ann does. She leans against the wall and watches him as he bends to inspect a pile of rocks. She nods, and Frank lays the watch on the floor of the mine. Tick, tick, the watch says in protest. The force of the rock smashes the face of the watch into smithereens. Sue Ann shrieks as the glass shatters and the watch jumps a foot in one direction. Frank puts one finger to his lips. Sue Ann wants to laugh hysterically, but she can feel her legs again, and the sheets, and the pillow, and she becomes aware that the dream is ending. Far off in the distance, there is the call of a bird and something is dripping. In the mine, the lanterns flicker. Frank drops to his knees. “This again?” Frank wheezes, his voice piping up through the darkness. Debbie Weingarten is a graduate of the funky and beautiful Warren Wilson College in Swannanoa, North Carolina, where she received degrees in Global Studies and Creative Writing. 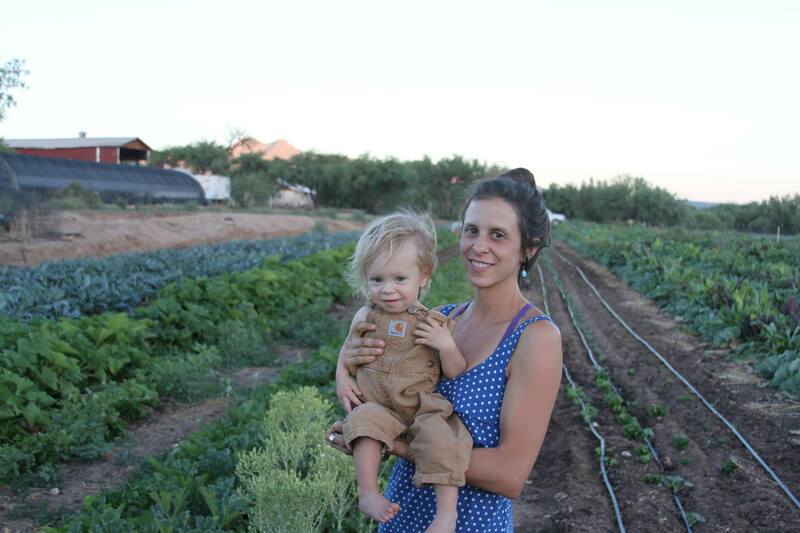 She currently lives in Tucson, Arizona, where she grows vegetables, makes babies, organizes on behalf of small farmers, and aspires to one day finish a collection of short stories.